These facts about Illinois will tickle your funny bone. 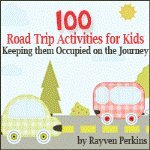 Whether you are looking to plan the ultimate family vacation adventure in Illinois, or you're interested in Illinois facts for general knowledge, this list is sure to get your family talking! You're ready to head into Illinois, but you don't know much about the state. That is an easy problem to solve with a quick list of interesting facts about Illinois. Armed with a few Illinois facts you will impress the family with how much you know about the state and make better decisions about where to stop along the way while on your ultimate family vacation adventure. 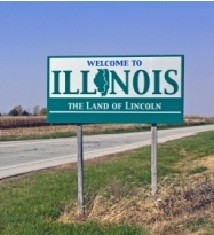 Following are some of the best facts about Illinois to make your trip a successful one. Read up on these Illinois facts then pass them on to the family as you travel down the road. 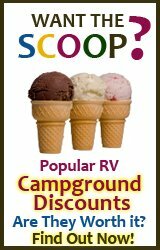 There won't be a dull moment in the RV this time around during your ultimate family vacation adventure! The tallest building in North America is located right here in Illinois. The Sears Tower is large and in charge and draws thousands of tourists into the state every year. In 1893 Chicago brought the very first aquarium into the country. The fish fun has been never ending ever since. Back up quite a few years to 1885 and Chicago gave the world something else to enjoy: the very first skyscraper ever created in the world. Now, how is that for things large and in charge? More facts about Illinois.....an Illinois tradition is bringing great things into the world first. Besides skyscrapers and aquariums, this state brought us the great franchise of McDonald's! The very first restaurant opened in Des Plaines, Illinois. You can thank this state for moving the cause of African Americans forward way back in 1865. That was the year they ratified the 13th amendment of the Constitution which abolished slavery. It was the first state to make that move. Everyone knows who Ronald Reagan was, but few realize that he grew up in Dixon, Illinois. He later become a very large and in charge president which is only fitting for the state. Speaking of bringing amazing people into the world, Illinois was also the home of Superman. The city of Metropolis is believed to be a fictional creation, but it actually exists in Southern Illinois. That is one of the best Illinois facts to impress your children! Some tasty facts about Illinois.....Ice cream Sundaes were not first created in Illinois, but they did get their name in this state. They were officially named in Evanston, Illinois. If you know any travel games related to license plates, make sure to play them as you roll through this state. Illinois has more personalized plates than all other states, so have fun learning a little about the drivers passing you by or jamming on their brakes in front of you. Springfield is the capital of the state, but it is more importantly the childhood home of President Lincoln. This is one of the best interesting facts about Illinois because it helps you form your travel plans. You can take a quick stop at the National Historic Site dedicated to Lincoln's childhood home. You can't stop with those interesting facts about Illinois. Keep reading to learn about some of the silliest laws still sitting on the books in this state. Watch what you do while on your ultimate family vacation adventure because Illinois jails can be vicious. The last thing you want to be called is a bum, so keep your wallet loaded until you leave this state. Those caught without a dollar in pocket are found guilty of the crime of vagrancy. 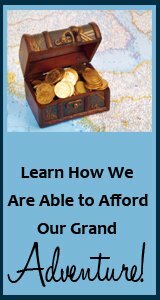 No, pennies don't count! Dollar bills only, but at least you only need one to avoid the label. Whether you're coming into town by truck or motor home, make sure to keep the steering wheel firmly attached during your travels. Vehicles without this accessory are completely illegal. While you're putting the steering wheel back on your vehicle, make sure to call up the city as you approach and let them know what you are driving in. There is a law in one city that requires automobile drivers to call the police before driving in. You have the perfect excuse to ignore the children and block out your spouse while traveling through Illinois: it is illegal to eavesdrop on your own conversation. This is actually a serious crime punishable by three years in prison and a class 4 felony to haunt you into the future. Put in the ear plugs. It doesn't matter who is talking to you. Here's another great excuse to ignore everyone: you cannot legally speak English in this state. It's true. English is forbidden. Oh, you don't know any other language? Sure you do. In Illinois, it's called "American". It turns out Illinois is known for more than just its wind and snow. It is known for creating celebrities and Presidents as well. There must be something in the water, so make sure to drink up before you leave during your ultimate family vacation adventure.